﻿ Stepper RV Services - Complete RV maintenance located in the greater New Orleans area. Stepper RV Services - also offering RV Accessories, RV Parts, and RV Supplies. located in the Greater New Orleans Area. 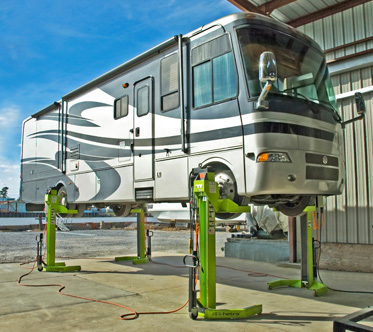 Our special 90,000 lbs lifting system gives our mechanics “stand-up” under coach access and safely raises your RV without damaging the frame. With such a clear view of your RV, issues are easily diagnosed and repaired. 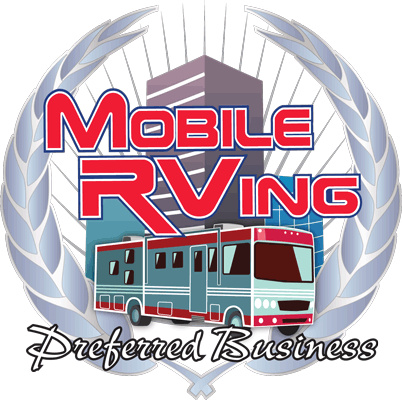 -Maintenance and Repair for all RV Makes and Models. -Service of all Major Components: Engine, Generator, and Transmission. -Handle Warranty and Extended Warranty work on most RV's, with approval from the Manufacturer or Warranty Agent. -AC Shrouds, Awnings, Flush Valves, Holding Tank Treatments, Latches and Locks, Lids and Screens, LP Gas Pigtails and Regulators, Plumbing Adapters, Power Adapters and Plugs, Tow Bars and Covers, Vent Covers, Toilets, Toilet Additives, Toilet Tissue, Vent Fans, Wheel Chocks, and much more! Whether you live in the Greater New Orleans Area, or are just traveling through, we want to earn your trust in being your RV service provider. All RV and Trailer Repairs are performed By Appointment Only.